It’s been a rough start to 2019 for President Donald Trump – and it’s only about to get worse by the looks of things. He’s been publicly called a ‘motherf*cker’ by a congresswoman – as well as Samuel L Jackson – as the public call for his impeachment increases. As America enters its eighteenth day of government shutdown, none other than Pablo Escobar’s brother has begun raising $50 million in order to impeach the 45th president. On the very day The Donald is to address the American people in a prime-time appeal for support for his ill-conceived crusade for a border wall, Escobar Inc. has shared their own definitively anti-Trump fundraiser. 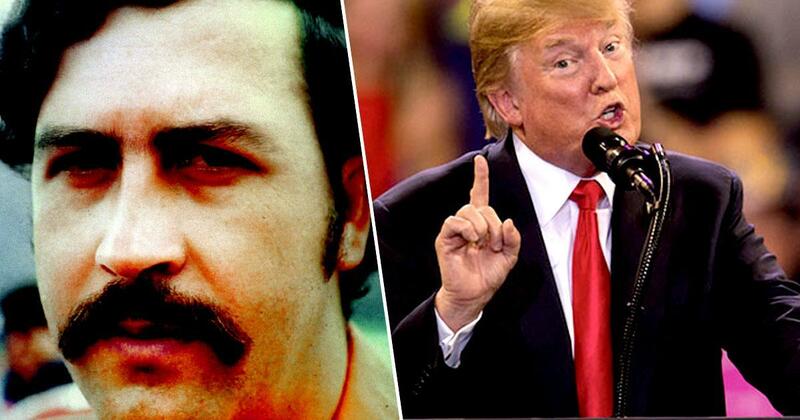 The brother of the deceased Colombian drug kingpin and founder of Escobar Inc., Roberto De Jesus Escobar Gaviria, has started a GoFundMe campaign seeking at least $50 million in donations to bolster his company’s efforts to impeach Trump. Roberto and his associates at Escobar Inc. are soliciting anyone and everyone to donate their hard-earned cash toward taking Trump down. The GoFundMe has been set up by Olof K. Gustafsson, who dubs himself ‘the official CEO of Escobar Inc since 2014’ on the website. Pablo Escobar is a South American also known as “Latino” legendary hero, who helped millions of people in his home country of Colombia and surrounding countries. With the strong leadership of his company Escobar Inc, founded by his brother Roberto Escobar, we will push hard to get Donald Trump impeached. So far, everything Pablo and his family have done have become multi-billion dollar successful ventures. Their plan is to finance ‘intelligence research, lobby firms and lawyers’ which they hope could ultimately lead to Trump’s downfall in Congress. However, Roberto claims to already be holding some ‘dirty secrets’ of Trump and his family from previous alleged business dealings between the president and the Escobar company. Roberto Escobar is the former co-founder of the Medellín cartel alongside his brother Pablo Escobar where Roberto used to be the accountant responsible for over $100 billion. In 1984 Roberto founded the company Escobar Inc which he is currently running to preserve the legacy of his brother Pablo. A president can only be impeached if they are found to have committed ‘treason, bribery, or other high crimes and misdemeanors’. But, according to his statement, Roberto seems pretty confident his plan will work. I have always gotten what I want. Everything. I know how to negotiate, and I have the power to get things done. Trump will be impeached. I am the brother of a Latino hero, I have eliminated many people from power and helped the poor and will do so again.